Have you wondered why some authors are well read and others aren't? Well, it may have something to do with the colorful language. There are many ways to describe something, more than one way to tell a story. To make my point take a listen to Al Wilson's song The Snake. He never comes straight out and says what he is talking about, but we all get the message. It's colorful and entertaining. You could listen to it over and over again. So, take this lazy day to engage in some colorful writing. Give readers what they want. 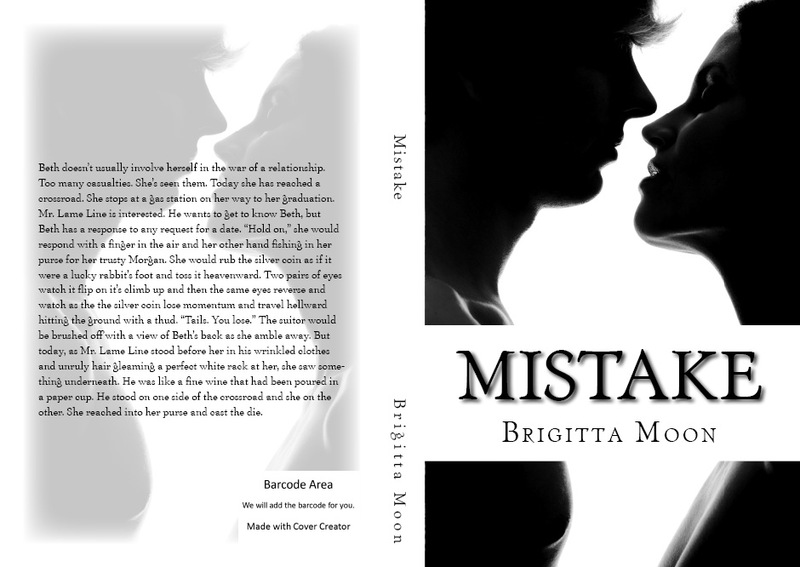 Enter to win a free paperback uncorrected proof copy of MISTAKE 2nd edition. I will have two copies, one will be an email winner and the other may be offered on Goodreads. It's not available on Amazon yet. I'm waiting on the proof copy so I can correct any errors that may be present and then I will hold a drawing to pass it on to one lucky email winner. After that the book will be available in my Createspace Store Brigitta Moon Books. Shoot an email to Brigittamoon@yahoo.com with MISTAKE in the subject line. That's all you have to do to enter. Take a look at the Kindle book and follow my author page.